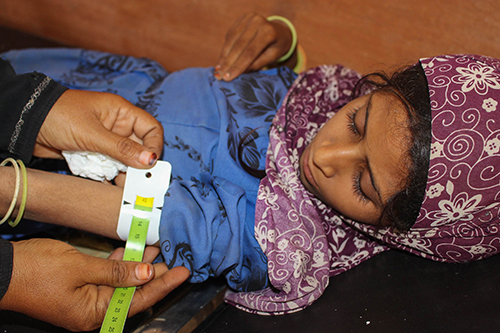 Yemen has one of the highest maternal mortality ratios in the Arab region. A woman’s lifetime risk of dying from pregnancy-related causes is 1 in 60. And the country’s conflict is only exacerbating the situation, disrupting crucial supply lines and eroding health care. Cholera and diphtheria outbreaks have left pregnant women and newborns more vulnerable than ever. Across the country, there are an estimated 3 million women and girls of childbearing age in need of vital reproductive health services. Food shortages have left an estimated 1.1 million pregnant women malnourished; 75,000 of these women are likely to develop malnutrition-related complications, which could threaten their lives. Poverty also exacerbates malnutrition, and keeps women from seeking regular check-ups. “Most of the pregnant women in the area suffer severe malnutrition and are not fit enough travel to the clinic,” Ms. Ahmed said. Midwives like Ms. Ahmed are going to heroic lengths to serve women in need. Today, it is estimated that only one third of Yemen’s reproductive health facilities are functional. And many families lack the resources to seek care at their nearest hospital. Midwives are helping to fill these gaps. Her clinic is supported by UNFPA. In recent years, UNFPA has helped 120 midwives like Ms. Ahmed set up home-based clinics. UNFPA is also working to help cover the cost of care for impoverished families. Still, the challenges are enormous. Poor infrastructure limits midwives’ ability to reach patients and obtain family planning supplies, medicines and other life-saving essentials. As a result, their work can be gruelling and heart-breaking. The intensity of Yemen’s conflict means midwives often risk their own lives in the course of their duties. 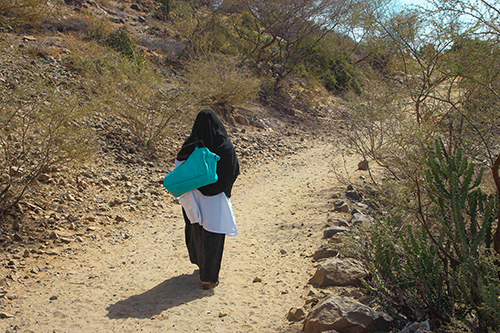 Laila, a midwife in Abyan Governorate, recounted a harrowing childbirth she attended in a neighbourhood that was under attack. “At 10 pm, I was called to attend to a woman in labour. There was heavy bombing in the area, but I was ready to put my own life at risk to save another life,” she said. Despite the hardship and terror, Laila says her work is fulfilling. “Every time, I can save a life, I feel proud of what I do,” she said.